“Thanks to Datalogic’s quality products and our excellent relationship, we offered the Smart Market Group a complete solution to maximize performance of the company’s logistics processes,” states Pablo Miranda, Director of Commercial Software at AS Software. 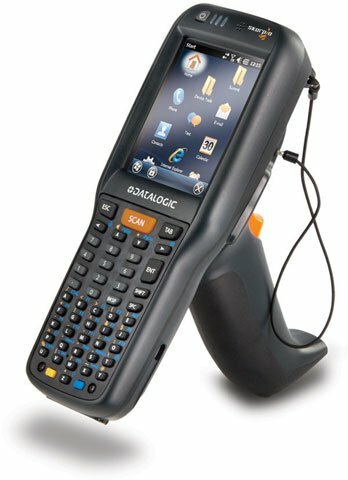 AS-SGA Automated Warehouse Management software was integrated into Smart Market’s ERP system and Datalogic’s Skorpio mobile computer handled real-time transactions. This combination allowed Smart Market to manage information flows from its warehouse and integrate the data into its ERP system in real time. The process actually starts in the stores where inventory is checked using the Skorpio mobile computer; then a request is made for products that need to be replenished. The automated warehouse receives the information and a workload is established. The products are picked, put on pallets, labeled and moved to a specific location in the warehouse where transfer information is compiled and the products wait to be shipped. The Skorpio mobile computer is an active player during each of these activities helping to optimize all aspects of the operation. In order to generate a workload, the warehouse manager simply displays the tasks to be performed by each operator on the screen of the Skorpio mobile computer, where they can be modified or sorted in real time. This is a major improvement over the previous system where this operation was done manually making it very time consuming. With help from the AS-SGA software, the Skorpio mobile computer can also calculate various factors, such as height, type of pallet and width, types of accessible locations and stock rotation in order to determine where to place a pallet. This operation improves location management, maximizes storage capacity, and guarantees correct product rotation based on placement and distribution criteria. Transfers within the warehouse are managed and configured by the AS Software solution using the Skorpio mobile computer as well. The transfers can be made directly or deferred and items can also be blocked in a quarantine area to minimize the risk of delivering non-standard products. Finally, all the documentation needed for shipping the picked products is prepared by the Skorpio mobile computer as well as the appropriate labels for the various couriers, allowing shipments to be expedited quickly and accurately. Logistics operations have never run smoother!